Packaging Dimensions 8.5 in. x 6.5 in. x 1.5 in. Super easy kit to build, did exactly what was expected. Can't beat this kit for the price. Asked by Anonymous on April 27th, 2017. Yes please follow this link: https://www.modkitsdiy.com/sites/modkitsdiy.com/files/product_files/led_add_schematic2.pdf. 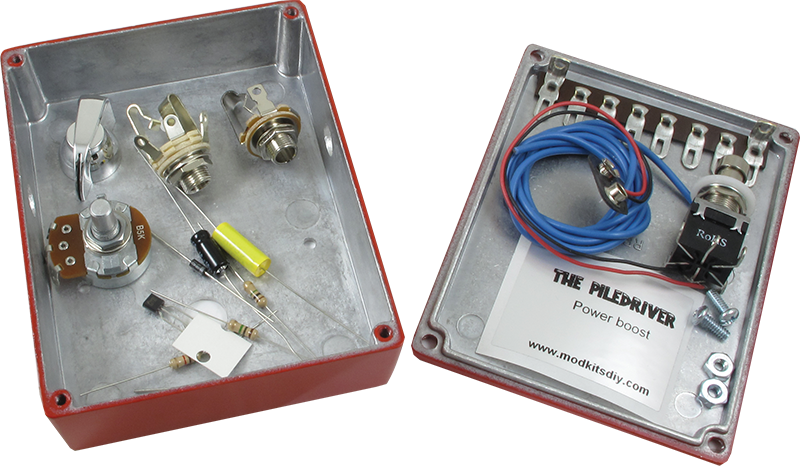 For technical support email MOD Kits at: info@modkitsdiy.com. 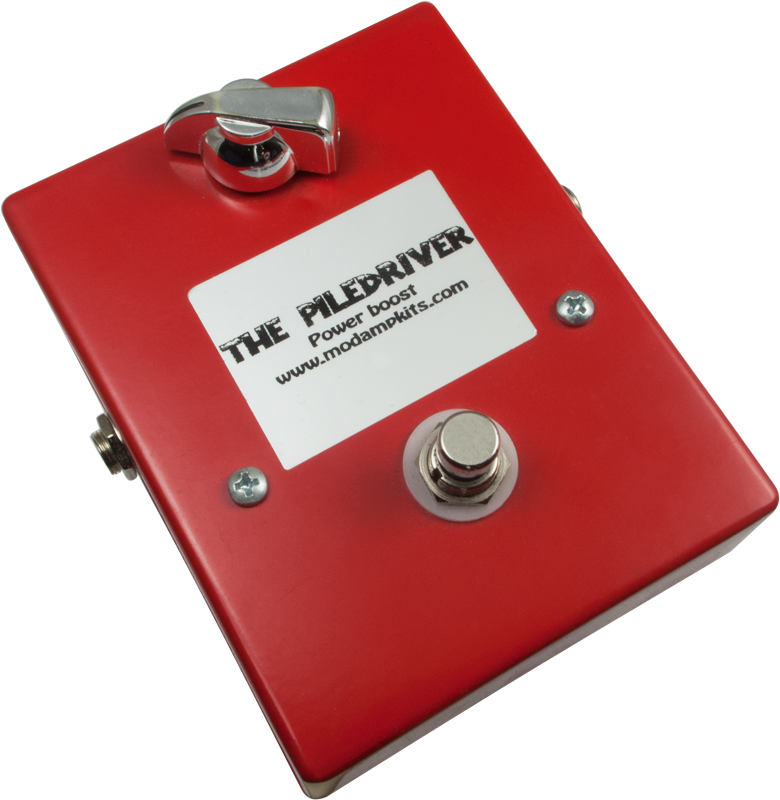 The Piledriver utilizes a point to point wiring layout using terminal strips rather than a circuit board. This is done to make a step by step build easier and to help the builder learn the circuit's signal path. This method requires a slightly larger enclosure. 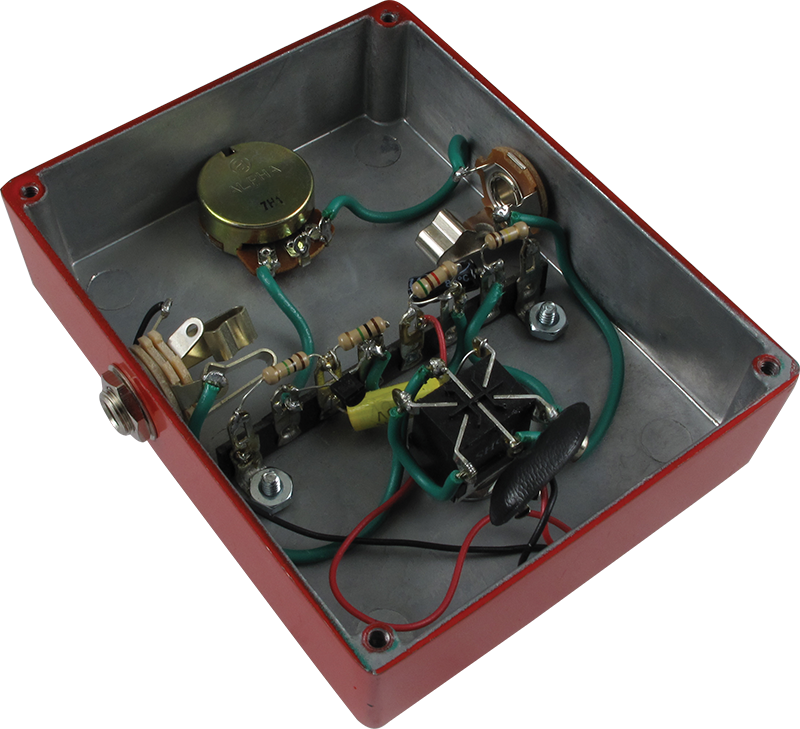 A DC power jack can be added but is not included. The parts can be purchased separately to complete this mod. Please refer to the FAQ at modkitsdiy.com for more details. The part number for the required cap would be C-ET47-50. Asked by Anonymous on August 9th, 2017. This is a pre-packaged kit and only comes in red. Asked by Anonymous on October 18th, 2017. Due to the design of this pedal, a germanium transistor would not work.